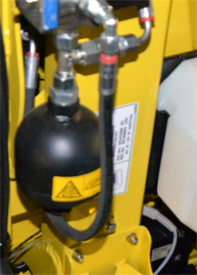 The optional compression unit with a self-adjusting roller will adapt automatically to the size of the swath. Especially in light swathes, the SPFH can only be loaded evenly if the compression unit is in the right position. The roller will roll smoothly over the swath as the accumulator releases part of the weight of the roll. The roller compression unit with the rake will automatically adapt to the swath size, which results in an optimum crop flow. This is especially important when harvesting various swath sizes (Performance). The alfalfa plate is recommended in large windrows for more even feeding. The trash net covers the auger and attaches to the arms of the compression unit. The fine mesh prevents crop buildup all over the machine, including the cutterhead cover. It does a good job of keeping the most valuable part of the plant—the leaves—in the feed. 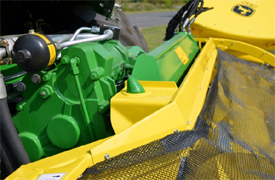 The net prevents debris from accumulating on the cutterhead, which results in less cleaning of the self-propelled forage harvester (SPFH) and the pickup (Uptime). Leaves and delicate forage remain in the pickup (Performance). 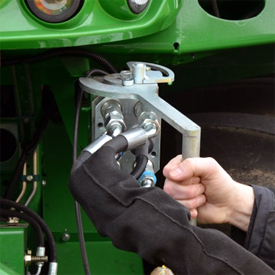 With this option, the pick-up reel fingers are driven by the hydraulic auxiliary drive above the power take-off (PTO) stub shaft, so it is independent from the auger speed. This option makes it possible to ensure that the pick-up fingers have the optimum speed under all circumstances. The optimum adjustment of the auger is always related to the length of cut (LOC). 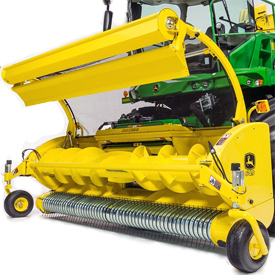 The longer the self-propelled forage harvester (SPFH) cuts, the faster the feedrolls feed the crop toward the chopping knives. Ideally the auger speed will be exactly the same as the feedroll speed. The crop speed would then remain constant without any interruption. The optimum speed of the pick-up tines is determined by the length of cut as well as the ground speed of the SPFH. Both length of cut and ground speed influence an optimum crop flow. The faster the SPFH drives the faster the pick-up reel has to turn. 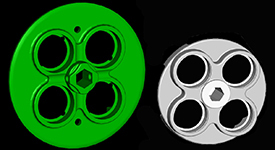 Wear cost can be reduced as the pick-up reel teeth do not always have to turn at their highest speed. When chopping short (feedrolls turning relatively slowly) and harvesting small swathes, the pick-up reel speed might limit the capacity of the SPFH as the pick-up tines do not turn fast enough when the ground speed is increased. 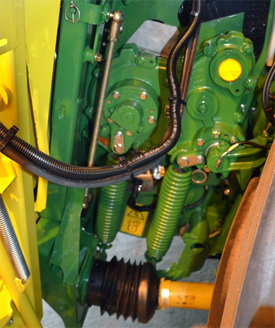 With the dual header drive, the pick-up reel can be sped up and the ground speed can be increased. The large SPFH can also be filled to the maximum. The pickup reel does not have to run at maximum rpm. When ground speed is low, the pickup tines can turn slower, which results in less wear of the pickup reel (Cost of operation). When the auger turns more slowly (short LOC), the ground speed can still be increased as the pickup tines are driven separately (Performance). 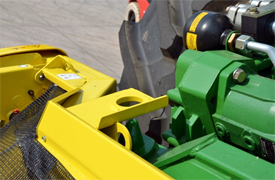 The header is easy to hook up to the self-propelled forage harvester (SPFH). 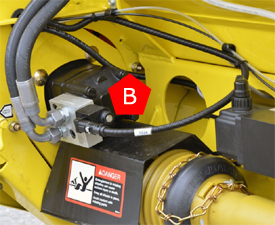 The hookup point automatically slides into the center and is clearly visible from the cab. It locks mechanically with one handle. 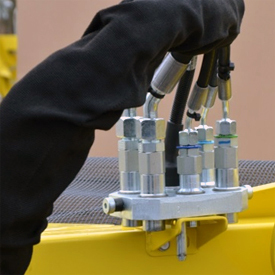 A multi-coupler is available for all electric and hydraulic connections. It makes for faster and easier attachment to the SPFH. Automatic header recognition engages when the header is connected to the SPFH. This allows the operator to utilize the easy automatic settings of the header/SPFH combination - all settings are stored in the machine. The optimal auger speed engages based on the length of cut (LOC). 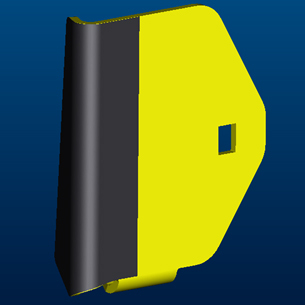 Automatic header recognition allows the operator to quickly and efficiently attach and detach the header. More time is saved, and there is increased comfort when going from grass to corn to allow for more time in the field (Uptime). 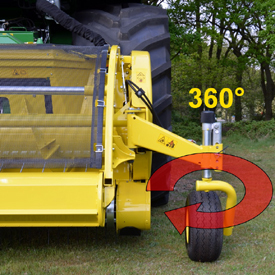 The advantage of the 8000 Series Self-Propelled Forage Harvester (SPFH) is that the speed of the pickup changes if the length of cut (LOC) is changed. This has enormous benefits for the customer. For example, if the LOC is set longer, the header will also be driven faster, which means the crop is fed faster towards the SPFH. This increase results in a more even crop flow and better feeding of the SPFH. The speed of the pickup is constantly monitored with a speed sensor in the driveline. There are drive options to allow the individual speed of the pickup reel and auger to better adapt to varying field conditions. The variable drive coming from the SPFH guarantees the basic pickup speed is always in line with the feedroll speed according to the LOC setting of the SPFH (Performance). The 6X9 Series Pickup features a new auger design. The flights on the auger move the crop inwards to the center of the machine. The movement of the flights creates an endless flow for smoother feeding around the corner towards the feedrolls of the SPFH. More efficient and smoother crop flow around the corner means that there is less power required to push the crop forward resulting in better fuel efficiency (Cost of Operation). Crop is more evenly distributed over the full channel width (Performance). For extremely tough harvesting conditions, John Deere offers the premium pickup reel option for the 639. The premium parts are standard for the 649 and 659 Pickups. 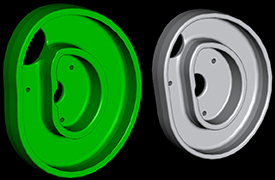 The (optional) premium pickup includes a range of heavy-duty driveline and pickup reel parts. 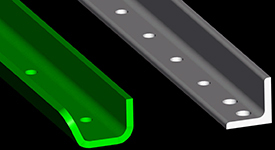 The main wear parts are also Dura Line™ coated. The 6-mm (0.24-in.) thick premium tines will be able to feed the heaviest swaths toward the auger. 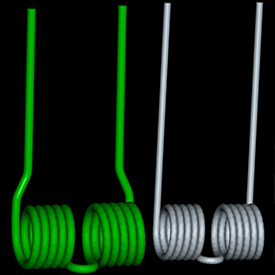 The larger spring coils of the thick tines are more flexible, resulting in an improved lifetime. The thick tine is also more capable of handling the extra force placed on them when harvesting very heavy crops with a large SPFH. To handle the extra power, the tooth bars are now U-shaped. The U-shape gives extra stability so it is able to cope with the extra forces placed on it by the thicker tines. The pitmen holding the tooth bars needed to be made more stable. The size of the bearing holding each pitman increased from 40 mm to 52 mm (1.6 in. to 2 in. ), an increase of 12 mm (0.47 in.). A more robust spider keeps the bearings of the four pitmen in place. 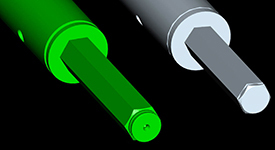 The diameter of the hexagon shaft was increased with 4 mm (0.16 in.) from 28 mm to 32 mm (1.1 in. to 1.3 in.). 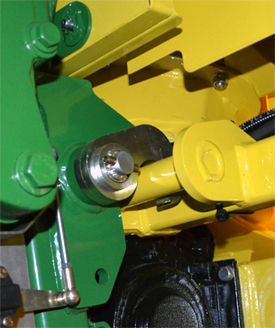 Dura Line long wear strips prevent wear on the outside of the auger flights. 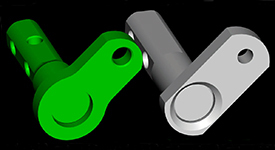 To be able handle the wear-intensive, enormous crop flow in the central part of the machine, the deck plates, auger strippers, and deflector plates in this area are Dura Line coated. The pickup reel of the 649 and 659 is already supported in the middle by ball bearings. With the premium option the 639 (3 m [9.8 ft]) is also supported with extra ball bearing in the middle. This extra support fits in the pickup reel using the same strippers as on the standard machine. NOTE: The premium heavy-duty pickup reel is only optional for the 639 Pickup. It is standard on the 649 and 659 Pickups. 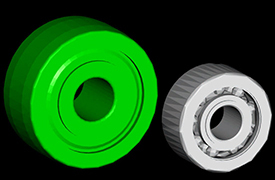 The gauge wheels can turn 360 degrees; therefore, they are very easy on the soil. The large tire diameter performs well on wet ground. The wheels perfectly follow the ground contours and do not work the soil; they can turn unlimited in field corners. During transport, optional hydraulic cylinders can be used to fold the wheels within the pickup width.